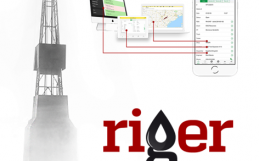 CALGARY, AB – July 9, 2015 – RigER is presenting the latest version 2.2 of innovative oilfield rental operations management software at the Global Petroleum Show (GPS) in Calgary this week. The presentation of the product is a part of the 2015 The Doghouse Pitch Competition (like Dragon’s Den). RigER will take part in the competition alongside 15 other oil and gas innovators. “The vision of The Doghouse was to showcase companies that will provide the next generation of products and services for the oil and gas industry,” says Brad Gaulin, The Doghouse organizer and the founder and CEO of GOmentr.com. As companies in the oil and gas industry face challenging economic times and are under pressure to remain competitive, the RigER is offering cost effective and highly customized solution to track rental operations, manage rental fleet, service dispatching and invoicing. 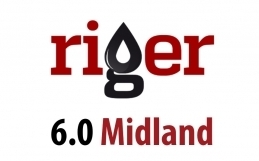 RigER (Rig Equipment Rentals) is oilfield rental operations management software. It is designed for small and medium size oilfield rental and energy servicing companies. RigER is a cloud based software with affordable customization and integration features. Fully designed to meet all local oilfield requirements, the RigER configured for specific customer needs and integrated with other software. “We are pleased to introduce RigER version 2.2,” says Michael Maltsev, founder of RigER. “Our product becomes better and better each day. We spent 3 months to prepare this update. 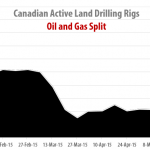 This new release focuses on dispatching of oilfield service and rentals. Dispatching oilfield 24/7 is very stressful and challenging job. RigER makes it simple and convenient. We invested our time and energy to make dispatching process visual. Now dispatcher has better control and can easily change the job or equipment schedule,” he added. The RigER version 2.2 release includes over 10 new features that are available to oilfield rentals companies now. Oilfield Service Report, a powerful tool to analyze services and overall performance. “We continue to improve our product. Now you can upload unlimited number of files to each document. 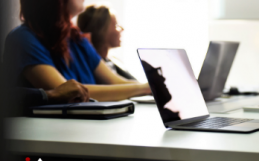 It could be support scanned documents, drafts, emails, copies, photos, video, etc. All these documents will be securely stored in RigER database. Microsoft Outlook Email integration now works easy and faster. We designed fast rental quote generation from rental units’ availability dashboard. There are other minor improvements as well,” says Maltsev. See full demonstration of product at the Doghouse, Lower Big Four, Booth #5230 on Tuesday at 2:30PM. 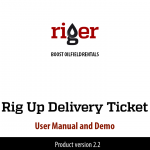 “RigER version 2.2 is our next step to boost oilfield rentals. All our customers will receive this free update to version 2.2 on June 15, 2015,” added Maltsev.